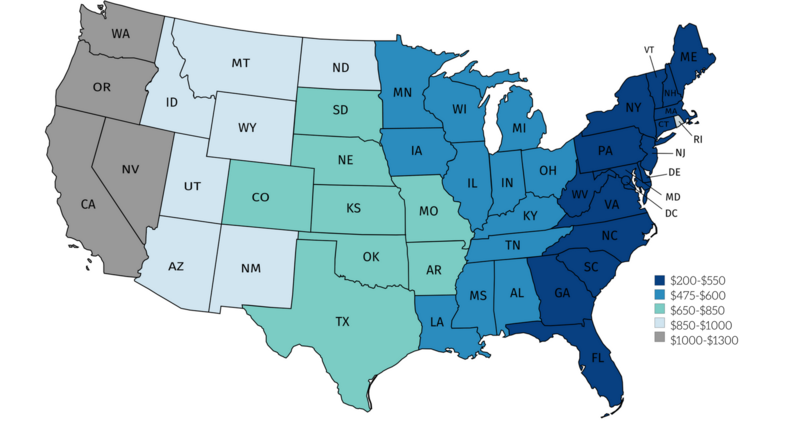 This map illustrates average* U.S shipping rates based on our previous deliveries to each region. Let us know your exact zip code for a more accurate shipping rate. *Final price based on distance between origin and destination, size of vehicle, and drive-ability.